Comment: Touch up small scrapes, and nail heads! Had window above garage taken out! New cedar shingles area 5x6 needs primer then finish with house . Need a ladder l have one might be 12 feet, need drop cloth I am disabled my wife wants to do it I said no. Comment: After adding Appex trim to house, it needs touch up around windows and raves. Had window removed from up stairs bedroom. Outside new wood shakes need primmer like Zippo then finish with outside finish color, the area is like 5x 6. Comment: I need the popcorn ceiling SAFELY removed and prepped to repaint with flat surface paint. Comment: We are looking to get our Home and garage repainted (same color). It's a Cape style with wood shingle exterior. 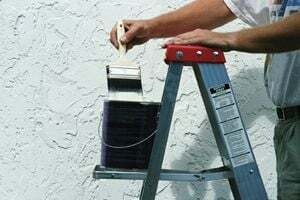 Beverly Painting Contractors are rated 4.78 out of 5 based on 780 reviews of 68 pros. Not Looking for Painting Contractors in Beverly, MA?